The following are important documents to establish and have readily on hand before your loved one needs your help with financial, legal, health decisions and more. Its a very hard conversation to have, but its very essential for all concerned. Have the talk, seek out legal advice, file away in a safe place…you’ll be glad you did. 1. Power of Attorney for Health Care, which grants you (as the designated agent) the right to make all health care decisions for your parent when he or she is unable to do so. This document should be shared with your parent’s primary care physician and, if he or she is admitted to a hospital, included in his or her hospital records. 2. Limited Power of Attorney, which grants you limited powers and/or time to act in a specific situation. For example, a Limited POA might enable you to sell your father’s lifelong collection of baseball cards or manage your mother’s move from her current home to an assisted living community. The Limited POA expires when the task is completed or the timeframe ends, whichever comes first. 3. Financial Power of Attorney, which grants you access to and management of financial accounts and resources specifically listed in the POA. Some Financial POAs divvy up responsibilities, giving one individual access to accounts used for bill paying and another person management of stock and investment accounts. 4. 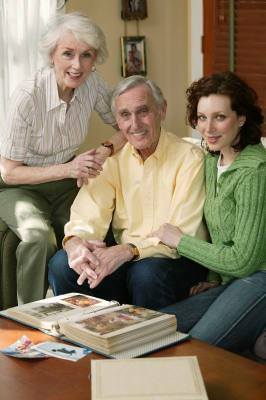 Durable Power of Attorney, which grants you the right to manage all aspects of your parent’s life and finances, and health care, where specified. It goes into effect when signed and stays in effect until your parent cancels it or dies. 5. Springing Power of Attorney, which “springs” into action in case of an emergency in which your parent becomes incapacitated and unable to speak for himself or herself. When (or if) the crisis is over and he or she is able to speak for himself or herself, the POA ceases to be in effect. 8. Names and numbers of doctors, attorneys, accountants, etc.